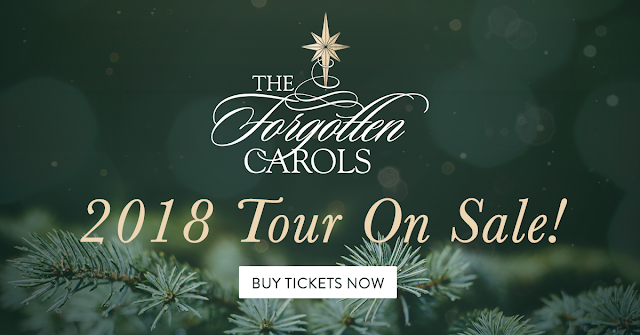 One of the things I'm really looking forward to this Christmas season is the chance to attend The Forgotten Carols. When I was attending University at BYUI, we had the opportunity to see The Forgotten Carols. One of our friends was in the play, as one of the "homeless" men. Now, over 15 years later, I can look back on that night and remember specific, detailed moments from it. I loved that show! I'm so excited to be living in Utah this year, so we're close enough to attend a performance. Ken & the girls have only ever seen a recording of it (and listened to the CD many times every Christmas season). I can't wait to go, see the show in person again and to share it with my family! If you live in the Utah/Idaho/Arizona area, the tickets for the 2018 tour are on sale now! 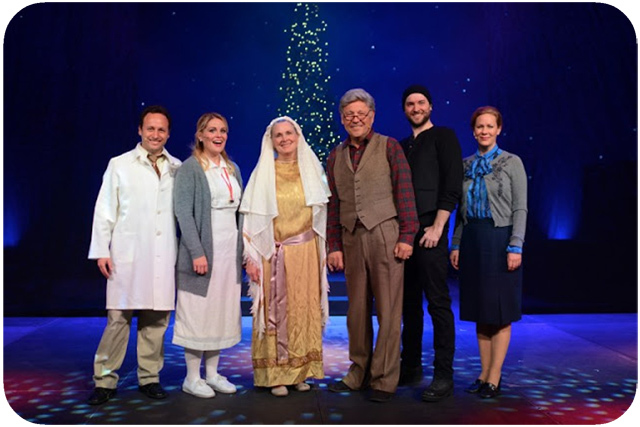 The Forgotten Carols stage performance tells the story of Connie Lou, a nurse whose empty life is changed when Uncle John, a new patient she is attending, recounts the story of Christ’s birth as told by little known characters in the nativity story. The accounts from the Innkeeper, the Shepherd and others help the nurse discover what the world has forgotten about Christmas, ultimately encouraging her to open her heart to the joy of this special season. The whole health scare after our last tour has now changed the way I have rehearsed this part that I’ve been doing for 27 years. I’ve been wondering how someone like John, who’s lived for over two thousand years and never faced his own death, feels about those of us who do face it. And, of course, I’ve been thinking how lucky I am to be with you tonight, for this evening’s show that will be ours alone. I love theater because it’s something we share, in the moment, and it will never be duplicated. It’s the gift of our connection through this story, and these characters, and these “forgotten carols,” that reminds us why Christmas, at its purest, brings such tidings for great joy. And through these songs from all the different people who experienced Jesus and His message in different ways, we get to see ourselves and feel a connection that goes beyond being in the theatre tonight; we get to feel, deep down, that we are absolutely not alone. At least, that’s my hope. It is sooo good- I can't wait to go again! Can't wait to attend all things festive! Same! I've been excitedly looking up what things there are to do locally. Sounds like a pretty good play! It's so good and the music is beautiful. This is just great to be sending such a wonderful message ! Looks like great show to see, perfect for holiday season! I wish we had something like this nearby. Sounds amazing! I wish we had more love in the World ! I love the Forgotten Carols!! A family favorite! They are coming to AZ this year and I’m debating taking my daughter. Is 5 too young? I just love the music! !